. Combining this workout with a healthy diet can do wonders to your body. Elliptical trainers are often misused and not utilized to their optimum potential. They need to be performed under proper guidance and should be done only after a 4-5 minute warm up. 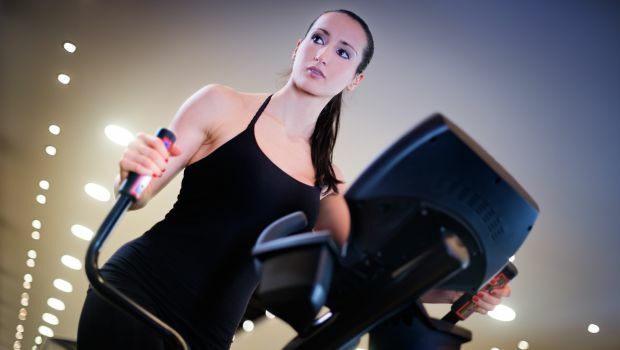 Here are a few elliptical workouts to help yourself get into shape. While working on your core, you shouldn’t use your hands to hold the machine as this puts an added pressure on all the muscles to stay balanced which causes the core to tighten and strengthen. The faster you go, the stronger your core gets. Don’t forget to take regular intervals during the workout. This workout should be done for 60 minutes and its intensity should be gradually increased. While walking on the treadmill, the height of the ramp should be adjusted within every 5 minutes. During the first 5 minutes, the ramp should be low and the resistance should be low. But during the last 5 minutes, the ramp should be high and the resistance should be high. You take a break every 15 minutes of the workout. This works on your lower body and strengthens your calves and thighs. This workout should be done after a three-minute warm up. In the beginning, set the ramp and the resistance low and gradually increase the resistance. Follow this workout for 27 minutes with intervals every 2 minutes. To increase the intensity of the workout, keep pushing and pulling the arm’s handles. After every third interval, pedal backwards. This will give you an intense full-body workout and will benefit both your upper body and lower body. This total-body workout lasts for 15 minutes and helps you make the most of your time. It burns calories quickly and gets your heart rate up. The ramp and intensity are quickly changed and increased, without wasting any time. It helps tone all your leg muscles as it alternates between pedaling forward and backward. It doesn’t involve any intervals and has immediate results. It is very helpful for those who have tight schedules and don’t have much time. This workout helps tone your backside and also gives you a good cardio workout. It works on your glutes and hamstrings while increasing your heart rate. The exercise lasts for 35 minutes with 8 intervals in the middle which should be taken after 2 minutes. With every interval both the ramp and the resistance should be gradually increased.